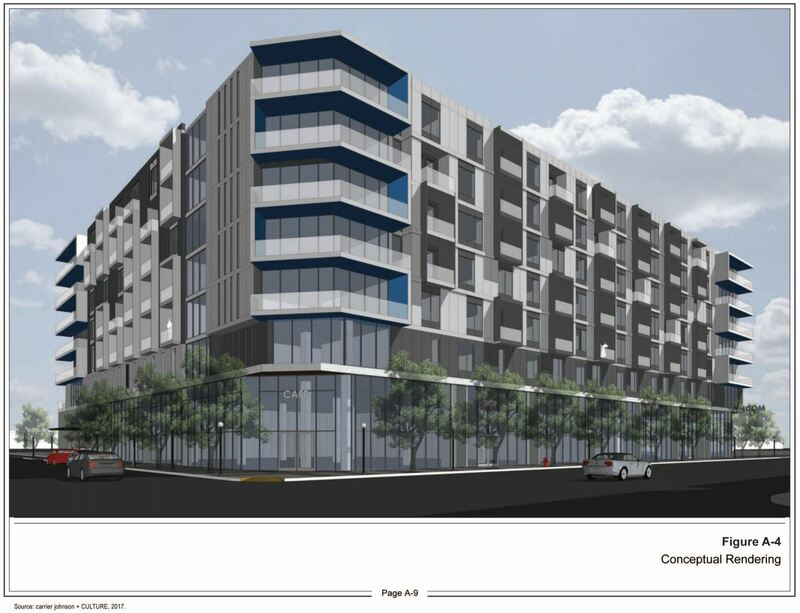 An Initial Study released from the City of Los Angeles Planning provides a closer look at the proposed mixed-use project in Hollywood, Modera Argyle. 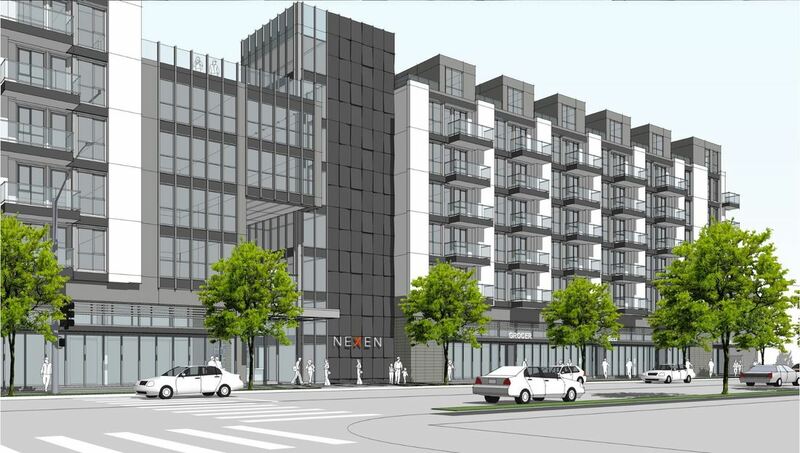 YHB Hospitality Group proposes to construct a new six-story Staybridge Suites hotel in Long Beach. The project site includes the Holiday Inn Long Beach Airport and is off the 405-freeway on Lakewood Boulevard. 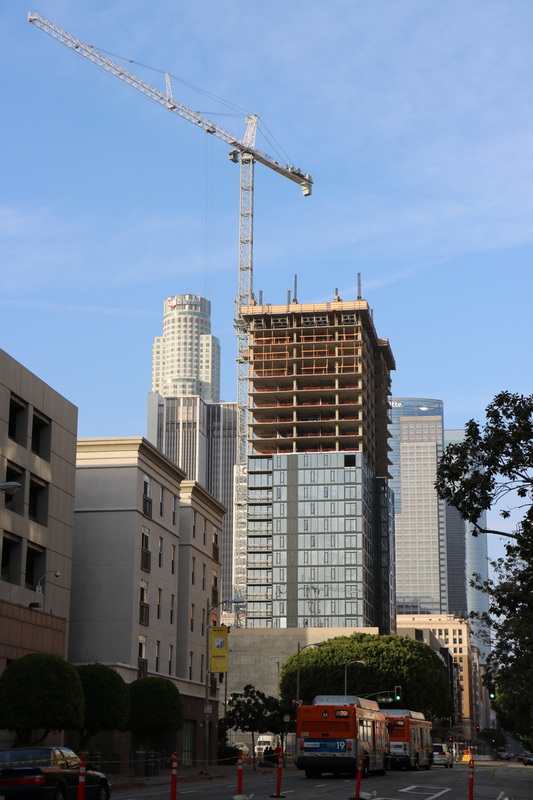 The developer, Jamison Properties, proposes to construct a new 23-story mixed use high rise which borders MacArthur Park and is nearby Koreatown. 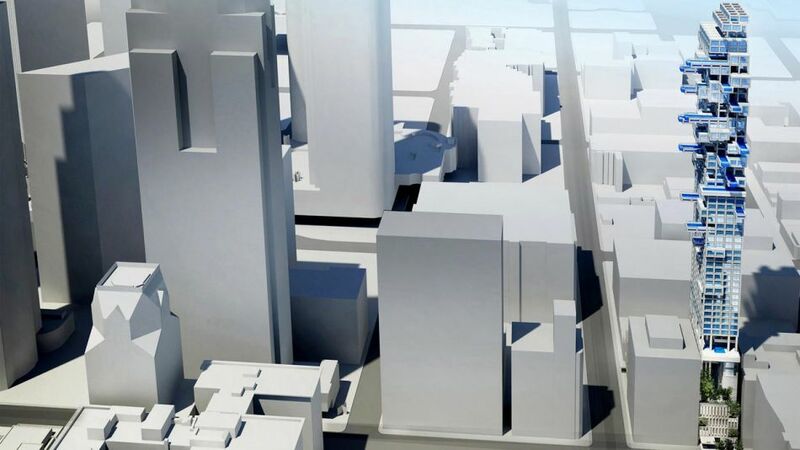 ​A 55 to 57 story building is proposed near Pershing Square in Downtown Los Angeles. Located in North Hollywood, a transit oriented development continues construction. 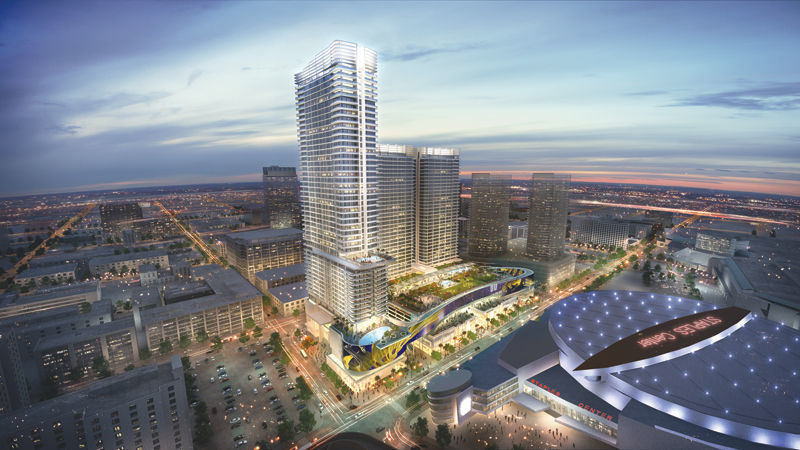 Rendering for Eighth & Figueroa. Credit: Mitsui Fudosan America. 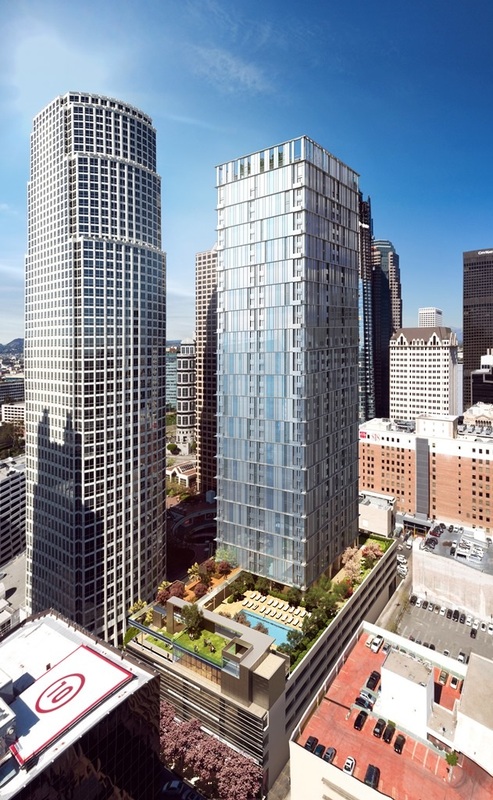 Located in Downtown Los Angeles at the north-east corner of 8th Street and Figueroa Street is currently a surface parking lot where a 43 story residential mixed use tower is proposed. 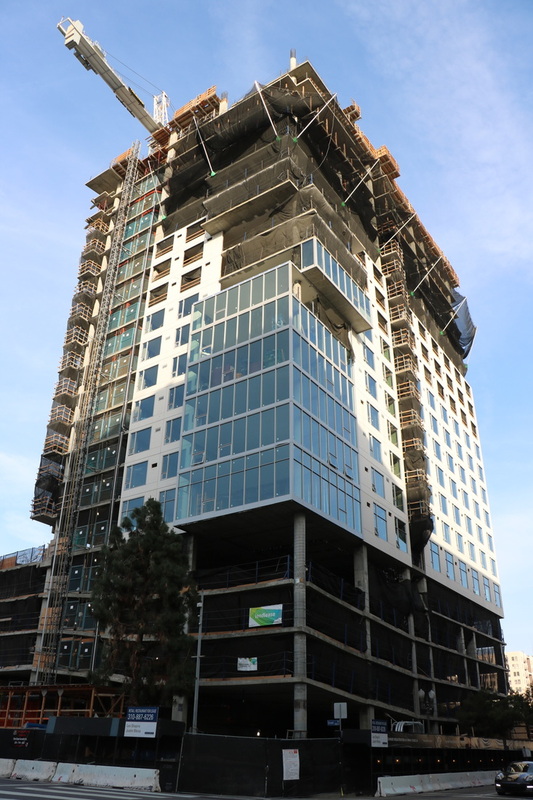 The construction on Ten50 continues and the facade has progressed greatly including the cube portions of the facade. It appears the parking podium's facade has not yet begun. The project is very close to 'topping out'. 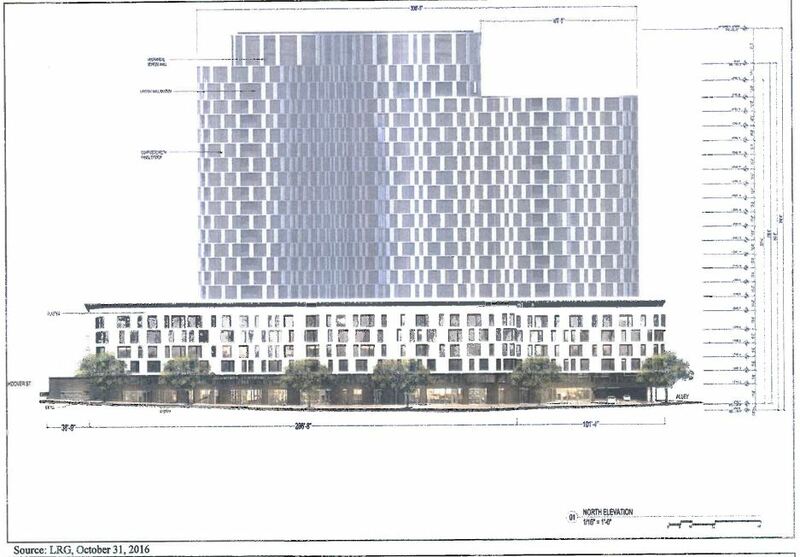 As reported earlier by Urbanize LA, 1120 Grand is an upcoming mixed use residential high rise development from Mack Urban. 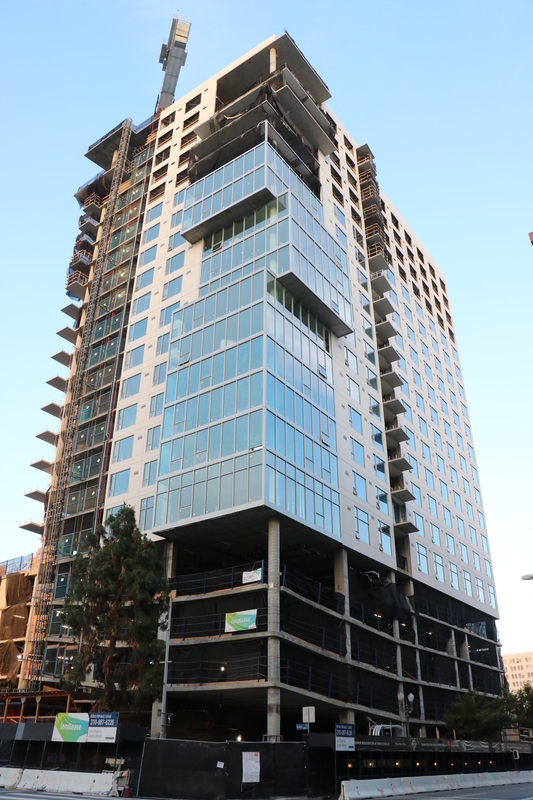 The 37 Story tower is located in DTLA's South Park district across the street from Evo and Elleven Lofts. 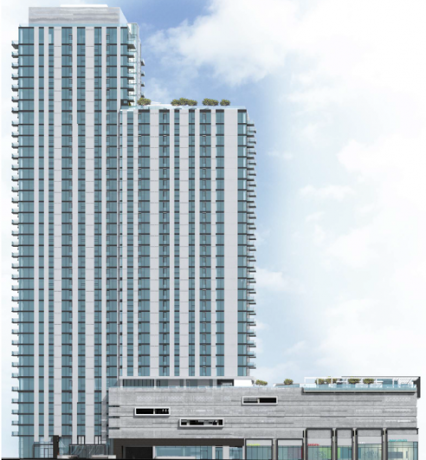 The 37 story high rise will have 512 residential condominium units along with a total of 9,910 square feet of commercial space. The other part of the project pertains to a 12 story building which is also a mixed use project containing 154 residential condominium units and along with 10,780 square feet of commercial space.